The American landscape seems engraved upon so many of our hearts and minds that it can feel a promised new world for those of us who have never even set foot upon the continent. I don't really know what Yellowstone National Park looks like in reality, whether the springs, geysers and mountains within that territory match up to the audio-visual simulations from which I feel I know it. But I do feel I know it. I can close my eyes and wander around Yellowstone because I have seen it, more times than I can count, and it feels like it is land which could be my land too. America perhaps works best as an imagined, longed for and hoped for representation. An idealisation of the urge to travel west and see what promises and lies are waiting in return. Find out for yourself whether it's all just a myth and a con. Jazz also embodies an important part of this representation of America. Jazz is an expressionist portrait of America and of what that country proclaims it stands for and what it could still, just possibly, aspire to become. 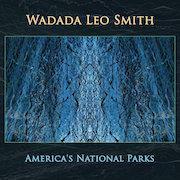 It is fitting and clearly appropriate that this magnificent suite from Wadada Leo Smith and his Golden Quintet, inspired by and dedicated to the USA National Park system in its centennial year and in turn to the very concept of America with everything that entails, begins with the founding of New Orleans in 1718. From this French colonial incursion came the birthplace of jazz, a distinction implying, as Smith says, that “New Orleans was the first cultural center in America and therefore it produced the first authentic American music”. It is this continued aspiration which defines and inspires the six pieces on America's National Parks. The delicately restrained second part, 'Eileen Jackson Southern, 1920-2002: A Literary National Park', positions the African-American Harvard University professor within the justified context of her life's work placing the integral part played by black music as part of the American diaspora and the significance of these cultural integers inside a communal shared space. It is, ultimately, the very nature and necessity of these shared spaces, this common ground that we must inhabit and respect, that America's National Parks reflects upon. The five members of the Golden Quintet perform this suite with perfectly poised balance and musical integration, composer Smith's trumpet taking the obvious lead with crystal clarity yet never lapsing into solo virtuosity for the sake of it. The three players who both provide the necessary backdrop and also predominate throughout these 96 minutes are Anthony Davis on piano, Ashley Walters on cello and John Lindberg playing bass. Walters' cello, in particular, becomes an increasingly vital lead presence, her mellifluously smooth playing wrapping itself around Davis's swirling piano clusters. Yet, there's also the passage during the brooding violence of the fourth piece here, a memorial to the “deep and dark dreams” of the Mississippi river and the many black lives lost there across many years, in which Walters' cello seems to be sawing viscerally, knife-like, into the past itself and to force atonement for atrocities committed. Lindberg's bass playing is both nimble and, as on the opening tribute to New Orleans, cavernously wide open, particularly when allied, as here, with Pheeroan aklaff's swinging yet heavily muscled drums. This auspicious and dramatic opening, rumbling and dense, is especially fitting for a piece which augurs the approaching jazz age. America's National Parks takes inspiration from past and present and transmutes them into possible futures. It is both act of redemption and sound of vindication through sheer force of will and undeniable existence, a reclamation of civic space as embodiment of cultural signification away from damaging and ineptly proclaimed political discourse or ethos. It is the sound of America as it should and could be and a defining moment for modern American jazz.